Westhill Heights is the name of the development in question, located just a short drive from the City and with all the convenience of urban life within close reach. 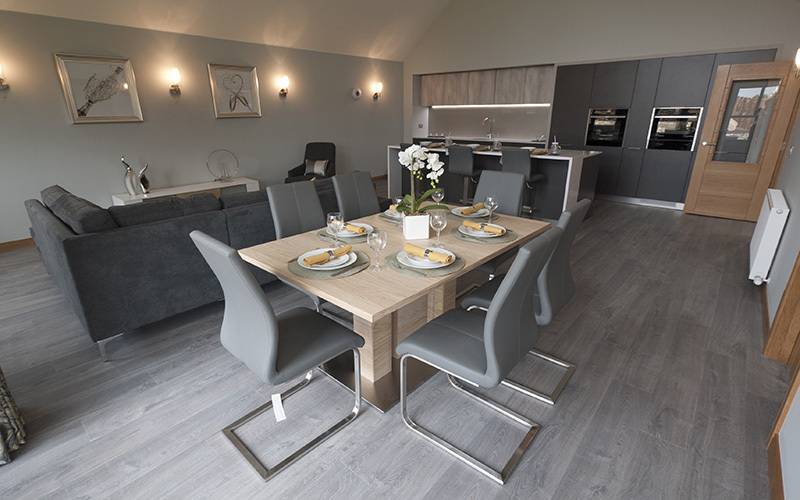 The intimate Loch View site and its five bungalows was built up from the ground by Dan Mor Developments; its two remaining houses: the five-bedroomed St Andrews and Westhill, have just recently been completed and released into the market, awaiting their rightful owners. 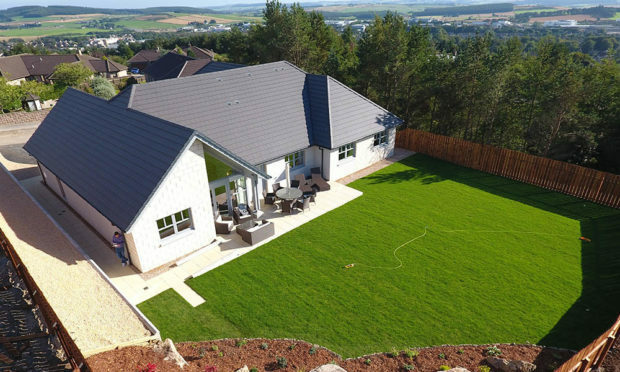 The location of the site is undoubtedly one of its key selling points, providing views of Aberdeenshire to the front, and a golf course to the back which many will find a welcome neighbour. Here, tranquillity of a rural setting is balanced out by the accessibility to modern facilities for a city life dweller – all within a short walk or drive radius: an abundance of cafes, restaurants and shops; a selection of public and private schools to choose from; a swimming pool, tennis courts and bowling; not to mention the great outdoors offering fishing, walking, climbing and cycling opportunities, with the ski resort of Glenshee just 90 minutes away. Featuring a more-than-generous 225m2 and 246m2 of living space respectively, the St Andrews and Westhill houses offer ample room – and room for ample character – for the whole family. The five double bedrooms with en-suite bathrooms are just the beginning. Each airy reception room opens up to a bright lounge, a vaulted-ceiling kitchen-diner sporting all the mod cons for hassle-free get-togethers. Besides the complete German kitchens and bathrooms, high attention to detail shines through the quality finishes and functionality of the other individual rooms, as well as the storage facilities, set at strategic points across the property. That includes the utility room at the back, leading out to a tasteful patio and a private, level garden that gives up even more space to imagination; and, on top of that, there’s the integrated double garage for maximum convenience. The combination of a perfect location and comfortable interiors has proved irresistible to three buyers so far. “We are delighted with the house; it feels like you are living in the country but are very close to local amenities. The finish in the house has been completed to a very high standard and we are delighted with our forever home,” one of the current residents said. 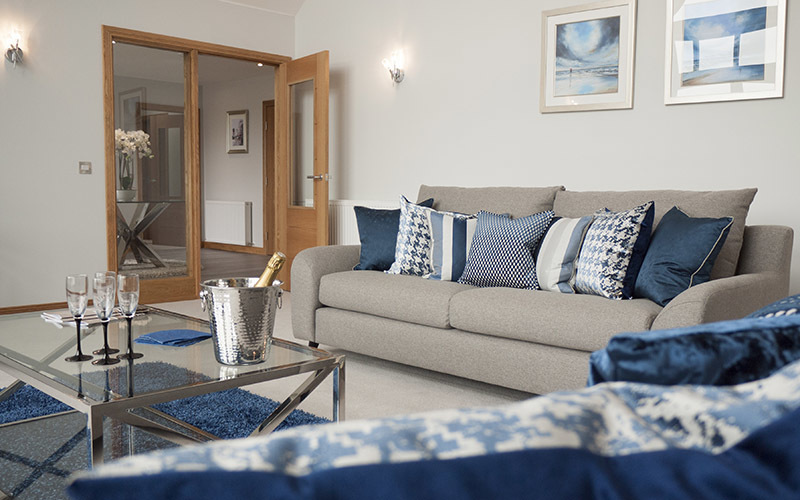 “With Westhill Heights we were looking to solve the dilemma between finding a good value family home while maintaining easy access to Aberdeen’s business and leisure networks. “The result is an even more attractive proposition, offering all-round comfort for the residents’ hard-earned money, without the need to compromise on their family time. *The two remaining houses on the Loch View site are both considered on part-exchange basis, subject to T&Cs. This truly is the time to buy! To get a feel for what living in the Heights would be like, view the video below, and book your visit by emailing here.